During fall and winter, when the temperature drops and there's a chill in the air, a cozy scarf can make all the difference. Collegiate sports fans can keep extra warm snuggled up to their team mascot with one from Dunlop McCandless. Inspired by the passion and tradition of college sports in the south, brothers Trevor and Dylan Dunlop McCandless set out to develop more than just an average scarf. The result is an adorable collection of knit scarves that are both cozy and cute, a charming accessory for proud NCAA fans of all ages. Which scarf is your favorite? aww, ive knitted variations of the gator scarf for the gators in my family!! Hi, I'm Kathy Dorf aka The Style Ref, the fashion authority for work, play and gameday. My passion for fashion and sports inspired me to create this website — thanks for visiting! 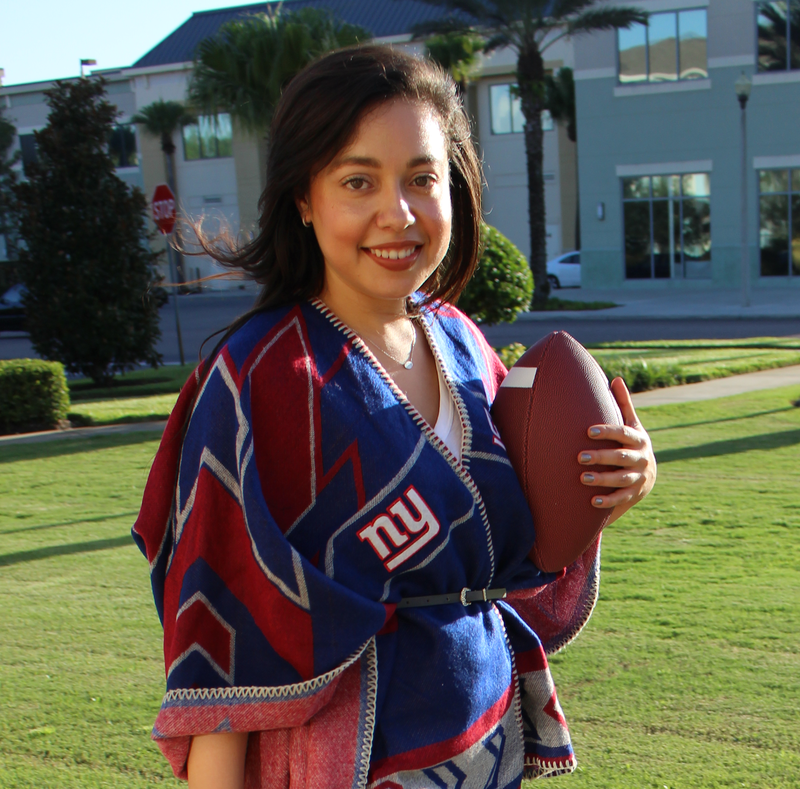 I love helping women dress to impress in all aspects of their lives, whether it be on or off the clock, but especially when representing their favorite team because great style is always in season!